We are great at adding just enough wild beauty and excitement to company parties and corporate events while also keeping it clean, elegant, & classy. 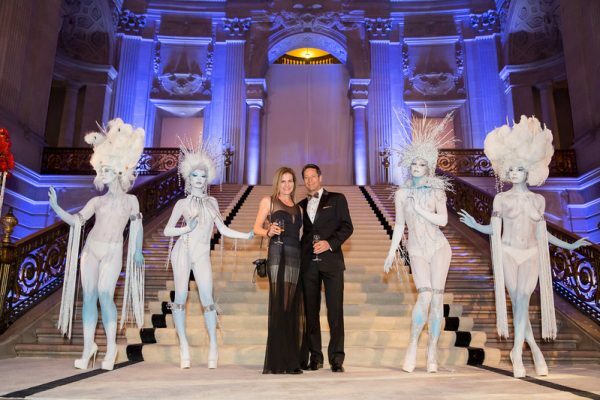 We provided all the Specialty Entertainment for this elaborate customer appreciation party for CFP… including aerialists, shadow dancers, contortionists, antoinettes, stilt walker, & light up costume for DJ. Special thanks to Annalee of Bash Creative, Ideas Event Styling, & Dave Edwards. Included 2 tarot readers, 2 temp tattoo techs, 2 champagne skirts, & a stilt walking juggler! 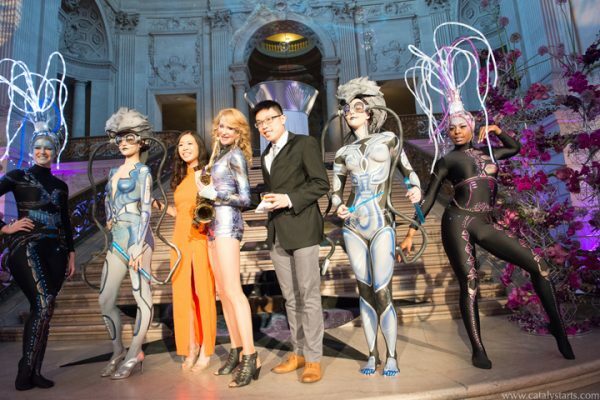 3 years of Customizing Body Painted Characters to the theme of the year for CSI Corporate Party at SF City Hall. We were hired by Olive Events to bring some excitement to a Company Appreciation Party for Commercial Fire Protection. 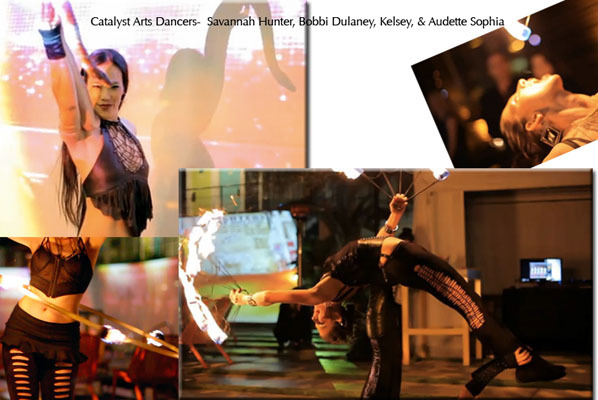 We provided a mysterious Snake Dancer & a Scintillating Fire Dance Show (at 45 sec in on the video). Since that event we have provided the entertainment for 2 more years of their same parties.